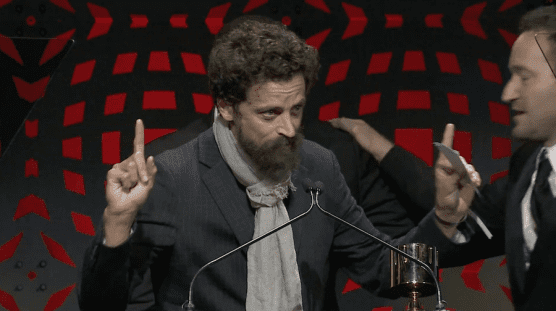 The 46th Annual Annie Awards were held last Saturday at UCLA’s Royce Hall in Los Angeles, and a number of CalArtians took home trophies for their achievements in animation. “Spider-man: Into the Spiderverse,” directed by CalArts alum Bob Persichetti (Film/Video BFA 96), Peter Ramsey and Rodney Rothman, won every category for which it was nominated — a total of seven awards — including Best Animated Feature and Best Directing. This marked the first Annie for Best Animated Feature for the Sony Pictures Animation studio. This year’s Winsor McCay Award, which honors lifetime contributions to the art of animation, was awarded to CalArts alum Ralph Eggleston (Film/Video 86). The veteran director, animator and art director is best known for his work on “Monsters, Inc.” (2001), “Inside Out” (2015) and “Finding Nemo” (2003). He won the 2002 Oscar for Best Short Film, “Animated for For the Birds”. The June Foray Award for those who have made a significant and benevolent or charitable impact was presented to Adam Burke (Film/Video 93) posthumously. A link to the streaming site would be useful.